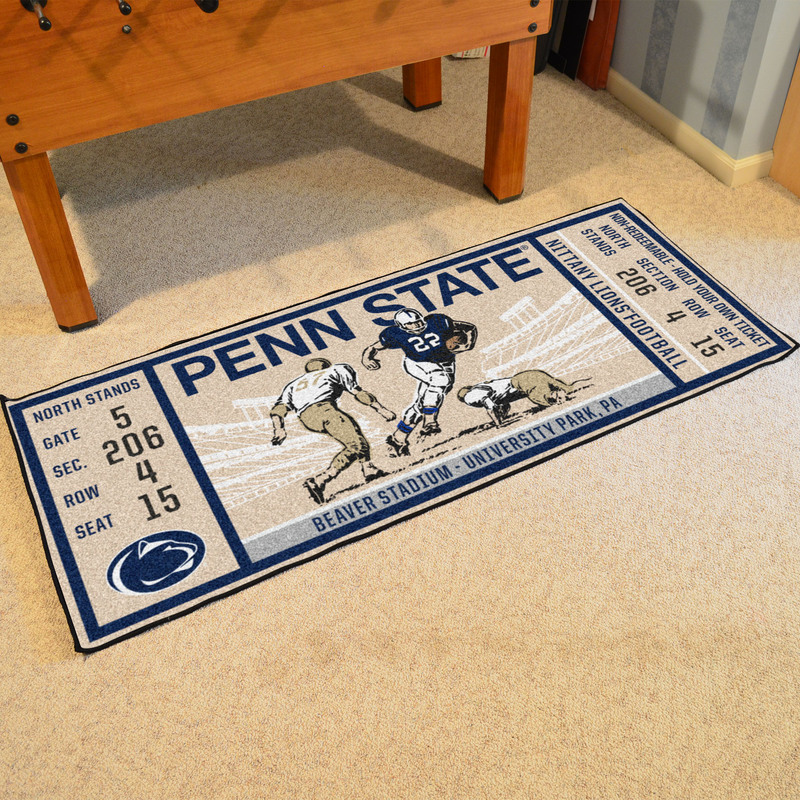 This University of Pennsylvania State Nittany Lions Ticket Runner Mat or area rug is manufactured here in the USA out of high quality components. 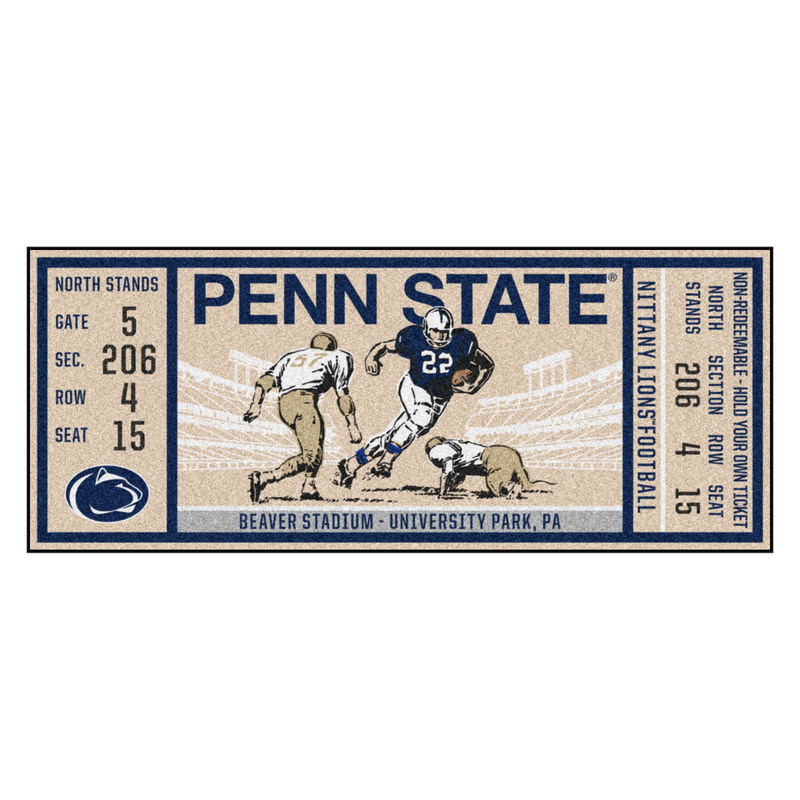 This ticket runner mat is chromojet printed with the Pennsylvania State Nittany Lions’s Logo and the team name as well as standard ticket information giving it a truly unique look. The mat is constructed with 100% nylon carpet fibers which are printed in true team colors. 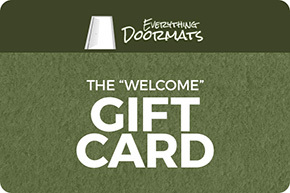 This Pennsylvania State ticket runner mat also Features a 100% recycled non-skid vinyl backing that gives it a rugged grip wherever you decided to use it. This Pennsylvania State Nittany Lions Ticket Runner Mat is 30” x 72” and is machine washable for easy care and maintenance. If properly maintained this college area rug will not wear out. After washing the rug should be hung dried or laid flat to dry. This will keep your area rug looking amazing.